This is the view today from my kitchen window as I make cocoa. 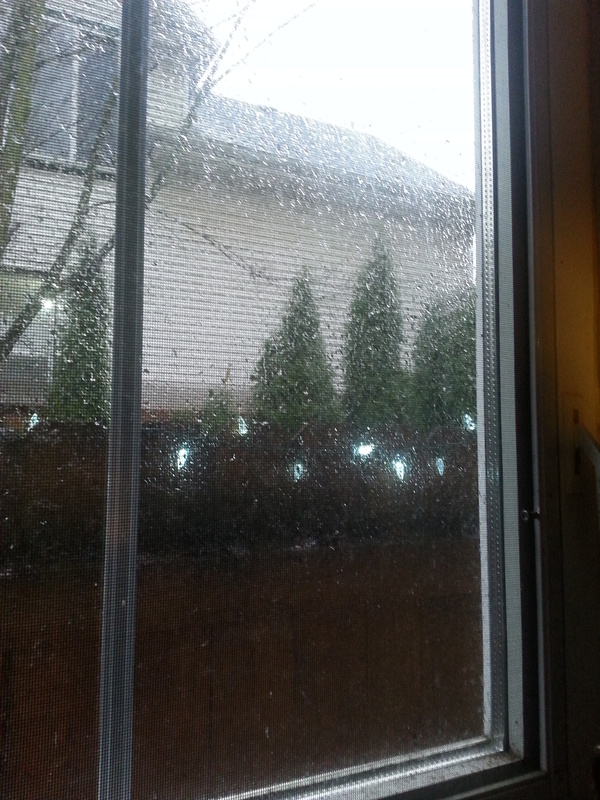 Today has been a quiet, rainy day (rainy even by Portland standards), which has been perfect for getting work done. It’s so quiet and cozy that I even came out of my study to write on the couch while my wife blogged beside me and the cats curled up nearby. Which is to say, I have nothing exciting to report today, because it’s just been good, steady work: a little research, a little writing, a little revision — a good balance that makes this all feel like it’s easy even when it isn’t. It’s one of those days you dream about when you’re starting out as a writer. “Someday, this will be my life!” you muse, and you’re wrong — it’s hard work packed into whatever space you can find for it — but some days, you discover you were right. Some days, it’s exactly how you dreamed it would be. Oh, and later this evening I’ll be heading over to join a big double-reading event in Portland, the Bone Tax 10/Spare Room team-up, where I think I might read a little from both my books, Box Cutters and (just for fun) the Christmas chapter from Hagridden. Oh! And speaking of Hagridden and the holidays: Remember that for every copy of Hagridden I sell during December, I’ll be donating to the National Military Families Association. You can read details in my earlier post about the donations, but I wanted to remind folks.